Vous préférez Nature ou Science ? 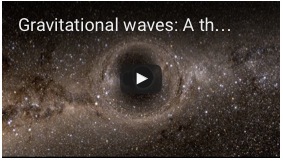 Nature Video explains how scientists are searching for ripples in space-time. 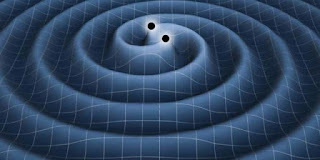 Almost exactly a century after Einstein first predicted the existence of gravitational waves, physicists at the recently upgraded Laser Interferometer Gravitational-Wave Observatoryare widely expected to announce that they have detected these cosmic ripples in spacetime. In this Nature Video, reporter Davide Castelvecchi explains what gravitational waves are, and how scientists are searching for them in an attempt to prove Einstein right. 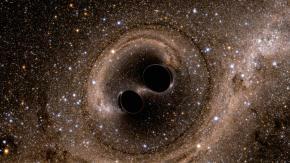 Follow the announcement live with Nature‘s reporters at our « LIGO live » page. Cette entrée a été publiée dans AuthenTIC Data : des données authentiques pour la classe, Savoirs en sciences, avec comme mot(s)-clef(s) Mathématique, Modélisation, Physique. Vous pouvez la mettre en favoris avec ce permalien.